We get that not everyone is as enthusiastic about dentistry as we are. Maybe going to the dentist makes you nervous or uncomfortable. Maybe you've been putting off dental treatment because of a prior difficult experience. At Smiles on Sandy, we get that going to the dentist may not be your first priority. We're ready to change that. We get that when you go to the dentist you want to be treated like an individual and not a number. 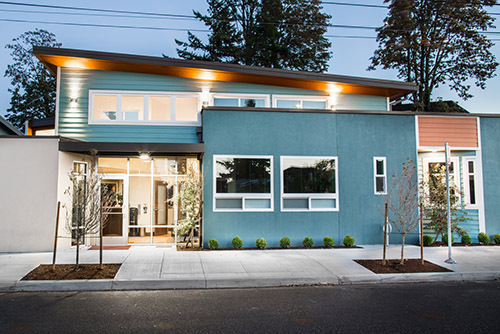 Our small, personal dental office in the heart of Northeast Portland is full of kind people who are experts at easing dental anxiety. We aren't a big chain with assembly-line dentistry. 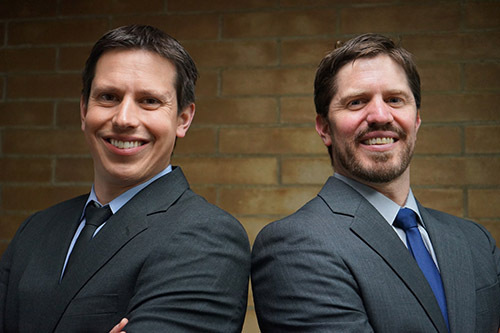 Dr. Jon Daby and Dr. Brett Daby have built their practices by listening to and caring for each patient, one at a time. We get that no one has time for the run-around. At Smiles on Sandy, we offer most dental treatments in-house - no referrals, no travel, no extra appointments at another office. We offer a wide range of dental care and services, from children's dentistry to porcelain veneers and root canals. And we help find financing options that will make your goals possible. We get that you want straight answers, to be treated with dignity and respect, and to hear about the dental care that you need in plain terms. Our patients have been coming to us for years, bringing their children and grandchildren and referring us to friends and family. Why? Because we care about each individual, building relationships that last a lifetime. We get that your smile is important. Call us - we'll change the way you thought dentistry had to be.